I met Gertie at Starbucks. 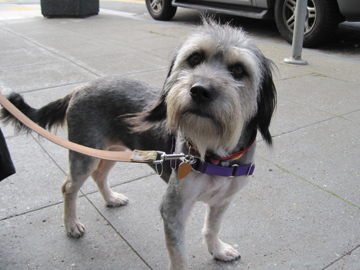 She’s a Tibetan Terrier mix, and had been adopted the day before. According to her owner, she had dreadlocks then. Hard to believe because she was impeccably groomed. Sort of a rags-to-riches story, I guess.